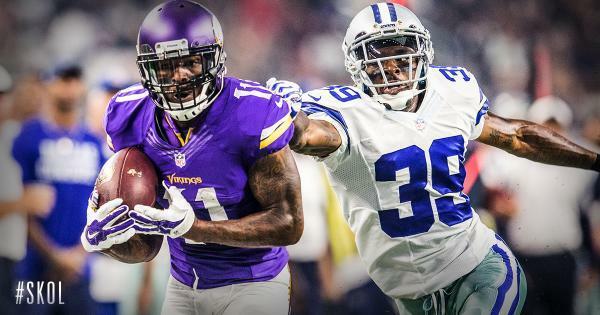 The Vikings take on the the Cowboys, in the biggest tuneup before the season. Join in on the discussion as Judd Zulgad, Andrew Krammer and others react LIVE during the game with #1500ESPNLive. #1500ESPNLive is an experience like no other. 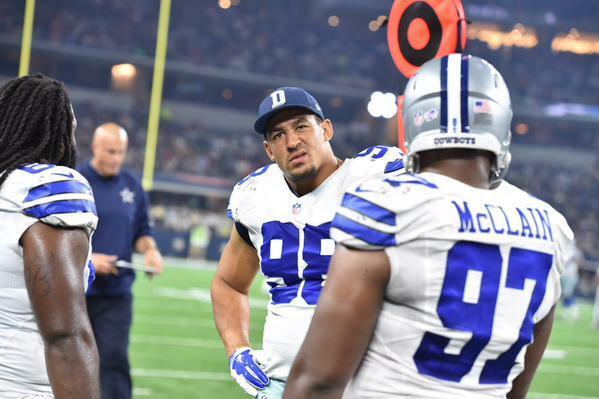 You will get instant commentary, opinion, analysis and reaction to what is happening on the field. Enjoy real time videos, photos, audio and posts from around the world via social media. Sano makes this a 4-3 game here, doesn't he? Mauer should be eligible to play in any game that has a no-hitter in progress so he can break it up. Watching Sano's plate discipline, it's amazing he's on pace for 250 strikeouts in 162 games. 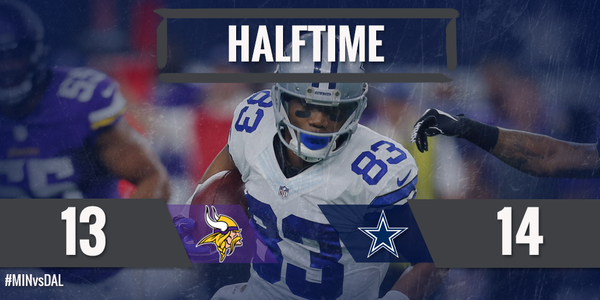 #Vikings trail #Cowboys 14-13 at half. #Packers make it official, say Randall Cobb has a shoulder injury.
.@Wallace17_daKid 's catch highlighted the first half. Taylor Heinicke is in at QB to start the 2nd half. Dominique Williams finds the end zone!! #Vikings Touchdown 3-yard run by Dominique Williams. Austin Shepherd, David Yankey working as second-team tackles. #Vikings searching for a swing tackle. Chase Ford hauls in the 2-point conversion and the #Vikings take a 21-14 lead. Two-point conversion by #Vikings is good. 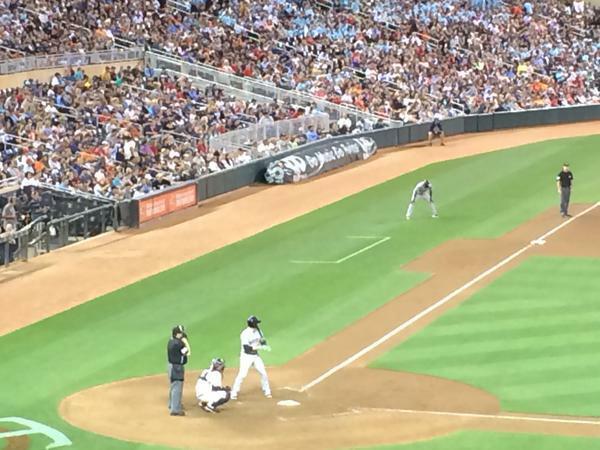 Kiss cam and a proposal at Target Field. If you can't say anything nice ... Only a matter of time before proposal dude brings selfie stick. 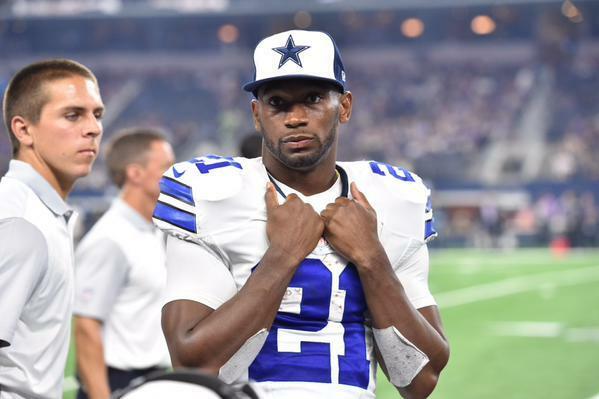 Terrance Williams on the TD: “It was great communication with Tony (Romo). 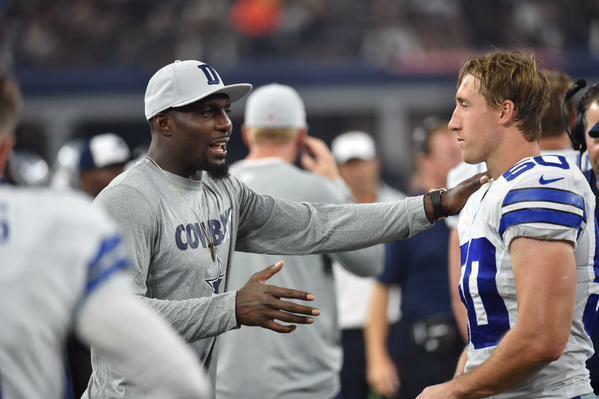 I just needed to find him a target to throw the ball to." 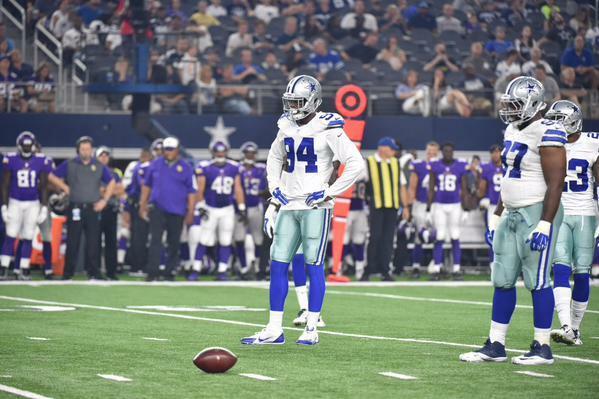 Byron Jones getting some looks at safety in the 2nd half. They've moved him all over the formation in all three games. 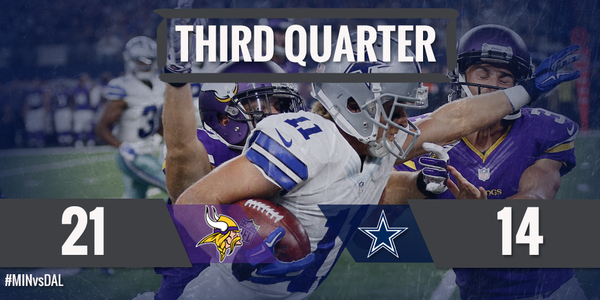 The #Vikings pick up a first down on a DAL penalty on third down. 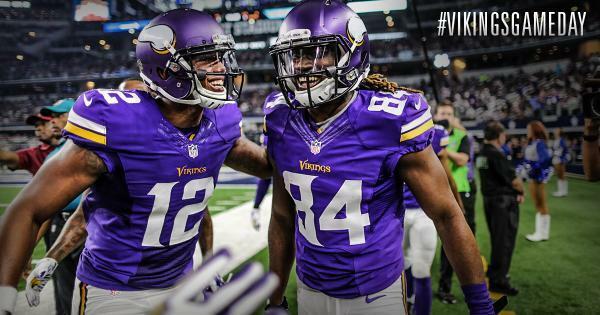 The #Vikings hold a 21-14 lead heading into the final quarter. 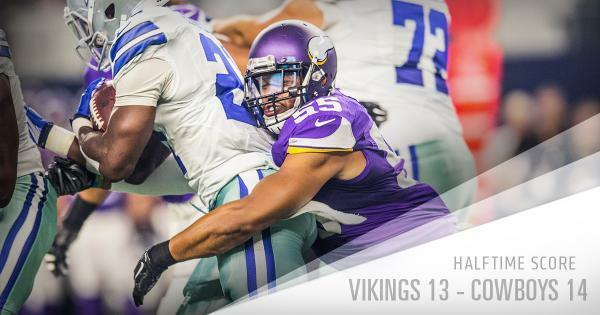 #Preseason : 19 flags, 0-14 on third downs for #Vikings and #Cowboys through three quarters. The #Vikings FG is no good and DAL will get the ball. Walsh had converted from 45 earlier in the game, now misses from 42. He's 4-of-9 in preseason. Bliar Walsh will lose two or more games this year - missing XP, FG's - which will cost them their chance to make the playoffs! Vikings OL looks very bad, I hope AP changes all that but if they continue to be as bad as they have been in the Preseason even AP will have problems gaining yards, plus 3rd down conversions not good, Walsh - VERY BAD, punt coverage and 60 yard pass TD's not a good sign, the Vikings are not as good as I thought they will have trouble even competing for last wild card! Check out the field-level view of @ceeflashpee84 's touchdown earlier tonight.
.@Jasperhitman54 SACKSSSS #Vikings QB Mike Kafka!
. @Audiesel1 recovers the fumble on the bobbled snap!!! The #Vikings take over with 6:19 remaining. And Hunter, Suzuki and Buxton are the worst bottom three hitters in the Majors - None of them could get a hit to save their life!!! The #Vikings convert on the 4th down attempt and move into the red zone. 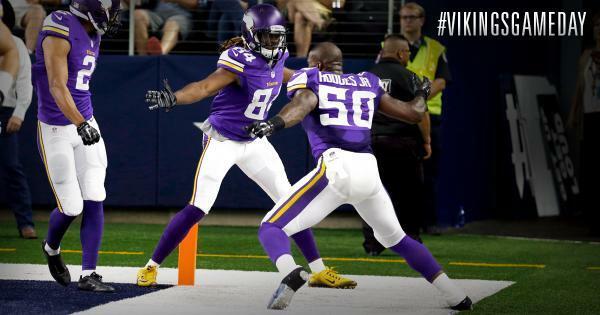 Texas native Joe Banyard scores a #Vikings TOUCHDOWN!! #Vikings Touchdown Joe Banyard with a 7-yard run.